NSEP trim lines are built to meet the needs of each installation. 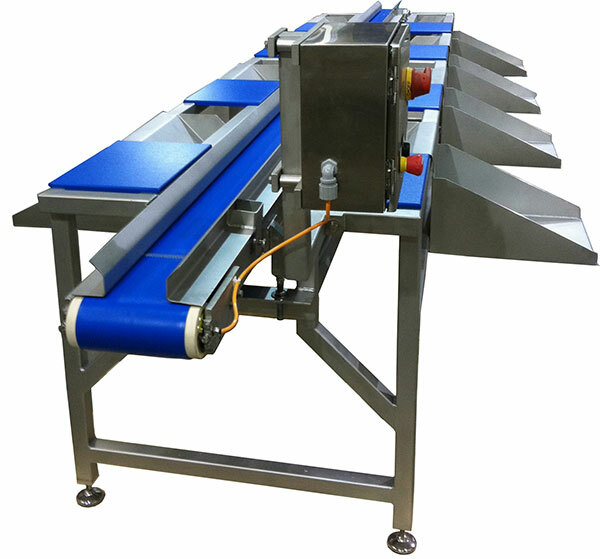 These range from single conveyor trim lines with shelves for raw product boxes (shown), to three conveyor time lines with raw material belt, finished product belt, and lower waste belt. 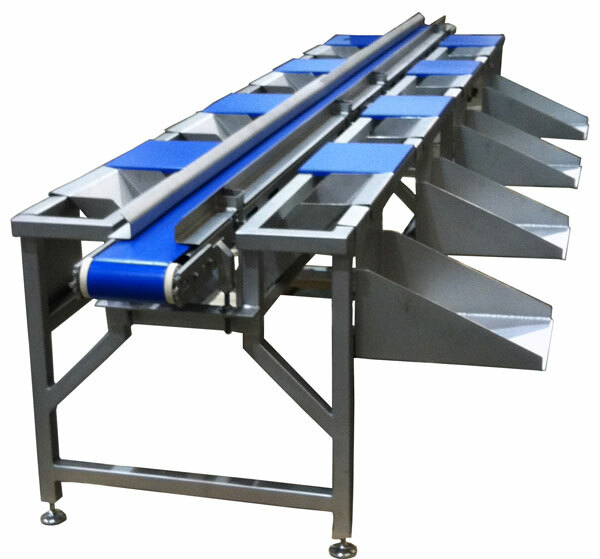 Smaller trim lines may accommodate 2 work stations, while larger trim lines up to 16 work stations.